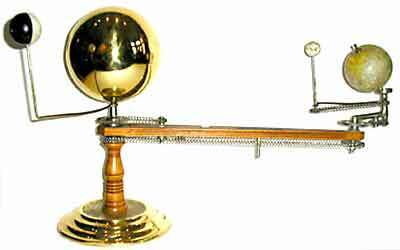 Sometime in the late 1890s, a Canadian named Alexander Laing started producing an orrery, or more correctly a tellurium, to help astronomy teachers demonstrate the motions of the Earth and Moon around the Sun. Such devices had become popular during the 17th century, following the publishing of Sir Isaac Newton’s universal theory of gravity in 1687. 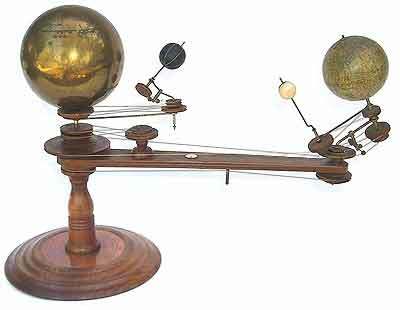 By using a series of cord driven pulleys attached to spheres representing the sun, earth and moon, Laing’s device reproduced the motions of the solar system. He patented his tellurium on August 27, 1896 in Canada and on March 2, 1897 in the United States. The Essex, Ontario, native set up manufacturing operations across the river in Detroit, Michigan as the Laing Planetarium Co., and offered the planetarium in two different sizes. In 1905, three brothers by the name of Trippensee took over the firm, reorganizing as the Trippensee Manufacturing Co. Their first products were marketed as Laing Planetariums, however a new improved model was soon introduced bearing their own name that substituted a more reliable bicycle-style chain and gear drive. The new Tripensee Planetarium was well received, and a new factory was built at 2679 East Grand Blvd. in 1908. However sales eventually leveled off and the brothers began to look for additional products that could be manufactured using their existing equipment. As luck would have it they were located in the heart of Detroit’s emerging automobile industry and lots of potential customers for automobile bodies were within a stone’s throw of their new factory. 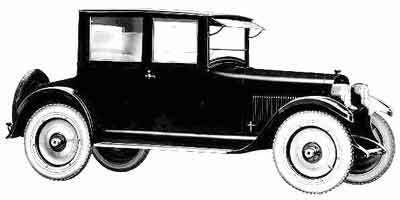 Amongst their first customers were Buick and the Ford Motor Co., for whom they built bodies and subassemblies into the early twenties. In 1921, Bryon F. (Barney) Everitt developed a new scheme to take advantage of the popularity of Captain Eddie Rickenbacker, a very popular World War I flying ace and former race car driver who also happened to live in Detroit. 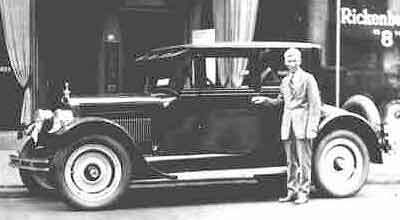 Everitt got together his former partners in the E-M-F automobile, William A. Metzger and Walter E. Flanders, and talked Rickenbacker into fronting the organization, which would produce a new car named after Rickenbacker. In return for the use of his name, Richenbacker was elected vice-president and given the position of director of sales. Everitt was Rickenbacker’s president and general manager. 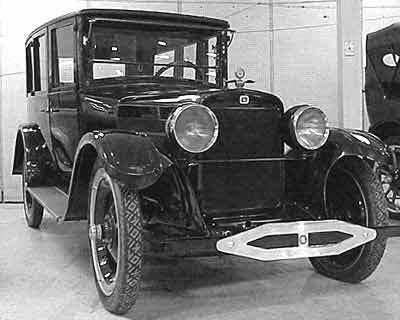 Collectively the three men owned both the Maxwell and the Metzger Motor Car Companies and had made a fortune when they sold E-M-F to Studebaker ten years earlier. Everitt also owner the Everitt Brothers Mfg. Co., one of Detroit’s little-known production body builders. 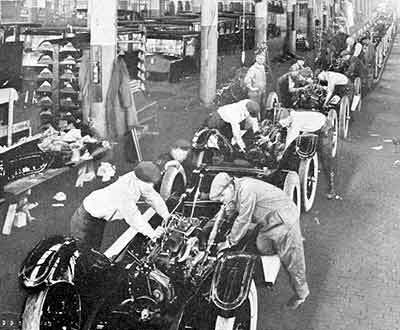 The firm had prospered in the late teens building bodies for the Chalmers, Chevrolet, Essex and Saxon automobiles and now occupied a huge plant on East Jefferson in Detroit. Eddie Rickenbacker saw to it that his automobile incorporate a number of features he had seen in Europe such as 4-wheel brakes and a vibrationless motor made possible by placing flywheels at both ends of the crankshaft. Although the 4-wheel brakes were optional at first, the Rickenbacker was one of the first American automobiles to offer them. The partners wanted to build the car at the Everitt Brother’s factory but Everitt feared that if the car took off its limited capacity might be a hindrance to future profits. Consequently they purchased the former Disteel Wheel factory on Michigan Ave. and produced a handful of prototypes that would be displayed at the upcoming 1922 New York Auto Show. 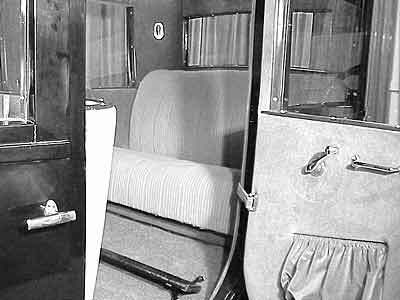 The car took off and by the middle of 1922 was building 50 cars per day. Everitt enlisted famed Detroit architect Albert Kahn to build them a new factory at 4815 Cabot Ave.
Rickenbacker’s directors predicted nothing but success, and Everitt went on a buying spree, purchasing the East Grand Blvd. plant of the Trippensee Mfg Co. in order to increase the body-building capacity of Everitt Brothers. At the time Everitt Bros. was building bodies for Rickenbacker as well as Chalmers, Chevrolet, Essex and Rollin. 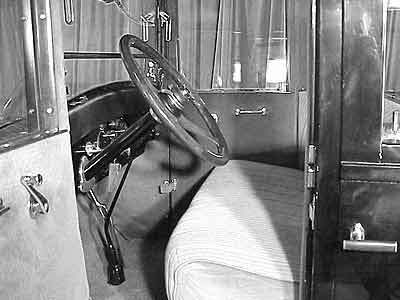 On June 27, 1924, Rickenbacker announced that form then on all Rickenbackers would included 4-wheel mechanical brakes, making them the first volume-produced, medium-priced car to feature them. The other mid-priced automakers fought back with a series of ads seemingly directed at Rickenbacker accusing cars with four-wheel brakes to be unsafe. Unfortunately Rickenbacker’s sales suffered, despite the fact that the claims were totally unfounded. Towards the end of 1924, they introduced a new L-head vertical 8-cylinder with their vibrationless dual flywheel system called the Vertical 8 Super-fine. 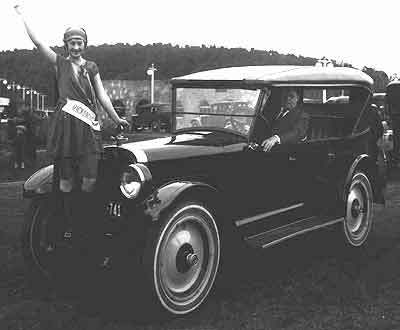 Unfortunately the car was priced at over $2,000 and sales suffered and the company went into the red, losing 150,000 during 1924. Problems continued into 1925 and the price was dropped on the Verticle 8 to help boost sales, which did not materialize. For a variety of reasons, Eddie Rickenbacker resigned from his own firm in September of 1926, causing a mass exodus among the firm’s management and investors, leaving Everitt all alone to run the troubled firm. He pulled the plug in February of 1927, and purchased its assets in November of that year. Rickenbacker’s large plant was leased to an aircraft manufacturer and Everitt sold much of the plant’s equipment to a German engineer representing Auto Union. A contemporary of Everitt’s stated: "he has made, painted and trimmed more automobile bodies, twice over, than any other concern." The Trippensee Planetarium continued to be manufactured during the Rickenbacker era and a few years later, the business relocated to Saginaw, Michigan where it occupied a three-story building at the corner of Cass and South Hamilton Sts. Although first Bakelite and later plastic replaced the planetarium’s original wood and brass construction, the firm remained in business as the Trippensee Planetarium Co. In 1999 they were purchased by Science First, a Buffalo, New York manufacturer and distributor of scientific learning aids.